When first launched back in 2008, the Ferrari California confused purists to an extent. Here was a front-engined V8 Ferrari, with a folding hard-top and dual-clutch transmission. Being unkind, some accused it of being aimed at those interested in cruising, not driving. 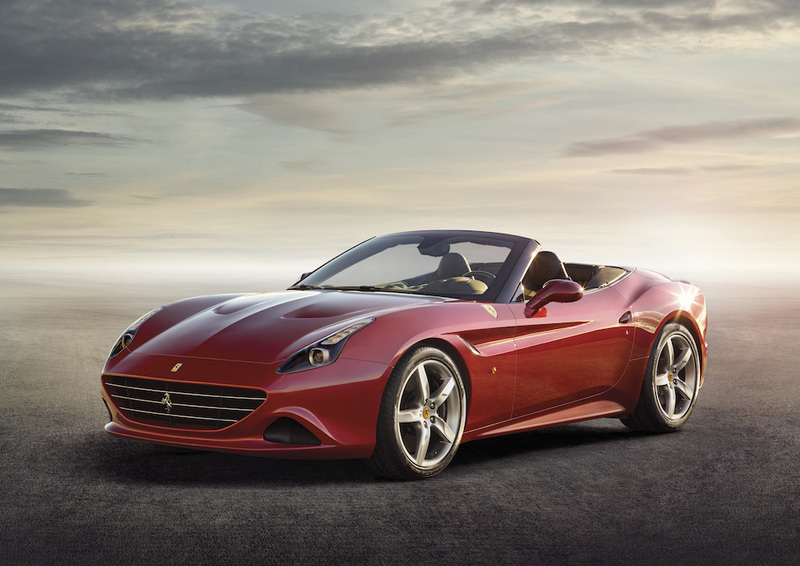 Fast forward to 2014, and Ferrari has given the California an update with an extra letter added on to the name. Yeah, the ‘T’ stands for turbocharged if you hadn’t already worked it out. With twin-turbos fitted to an all new 3.9 litre V8, power increases from 453 bhp to 552 bhp, with torque rising by a monumental 49% to 556 lb-ft! That’s an awful lot of twist, and should make a big difference to the way in which the California drives on the open road. It also provides a much-needed link between 2014 Formula 1 technology to Ferrari’s road cars; high-revving naturally aspirated power is so last year. Performance figures are expectedly impressive, with 0-62 mph in 3.6 seconds and a 196 mph top speed. Ferrari is offering two new colours with the Cali T. This is Rosso California. Whilst this is Blu California. We like. Maranello also claims an increase in fuel economy by around 15% in everyday driving conditions; proof that nobody is safe from the need for greater efficiency. The facelift to the outside of the California T makes the car look much more handsome than the previous version, with revised front end, wings and rear-diffuser. Inside, what can best be described as a boost gauge (Turbo Performance Engineer in Ferrari-speak) sits between the air-vents above the centre console, with a new touchscreen infotainment system also added. We don’t care what you call it Ferrari, that’s a boost gauge. The revised car is set to be officially unveiled at the Geneva Motor Show next month. Prices have yet to be confirmed, though given the level of new technology there is likely to be an increase over the existing car’s £152,000 tag.